New listingFujifilm 18-135mm F3.5-5.6 R LM OIS WR XF Lens ~ Rarely Used. Top Lens. Fujifilm 18-135mm F3.5-5.6 R LM OIS WR XF Lens ~ Rarely Used. Top Lens.. Weather Resistant. 18-135 is a great range. Condition is Used. Sent with Australia Post Pre-Paid Parcel Post Satchel 3kg. 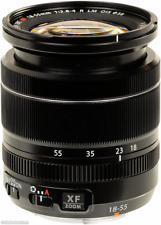 Fujifilm Fuji Fujinon XF 55-200mm F/3.5-4.8 R LM OIS Lens. Two linear motors facilitate high speed auto focus (0.28 seconds) as well as smooth and quiet operation, which is important for stability at long focal lengths, and when shooting video. MPN - 75443. FUJIFILM XF 10-24mm f/4 R OIS is a 15-36mm-equivalent zoom featuring a constant f/4 maximum aperture, an advanced optical design, and optical image stabilization. A Super EBC coating also suppresses flare and ghosting for improved contrast and color neutrality when working in strong lighting conditions. Fujifilm X-Mount. Its ultra wide to standard focal length capabilities make it the perfect choice for shooting dynamic, high impact landscapes images with excellent detail from the foreground to the far distance. Fujifilm Fujinon XF 18-135mm f/3.5-5.6 R LM OIS WR Lens. Original Fujifilm Fujinon XF 18-135mm f/3.5-5.6 R LM OIS WR Lens Manual. Original Fujifilm Front Lens Cap. Original Fujifilm Rear Lens Cap. Original Fujifilm Lens Hood. Pairing this lens with your favourite Fujifilm body will enable you to capture as many brilliant images as possible while tackling extended shooting periods without suffering from fatigue. Other Key Features. Fujifilm Ã FUJINON XF 16-55mm F2.8 R LM WR Lens. A flexible workhorse of a lens, theXF 16-55mm f/2.8 R LM WR fromFUJIFILM is a versatile standard zoom spanning a 24-84mm equivalent, wide-angle to portrait-length range. A fast, linear motor-driven autofocus system will get you to your focus smoothly and quickly and keep you shooting confidently. XF 18-55mm has focal lengths that run from 27-84mm in the 35mm format. Trending at AU $487.32eBay determines this price through a machine-learned model of the product's sale prices within the last 90 days. Fujifilm  FUJINON XF 8-16mm F2.8 R LM WR Lens. An ultra-wide zoom characterized by a bright and advanced optical design, theXF 8-16mm f/2.8 R LM WR fromFUJIFILM is a 12-24mm-equivalent lens featuring a constant f/2.8 maximum aperture for consistent performance throughout the zoom range. Fujinon XF 55-200mm f/3.5-4.8 R LM OIS Lens. 1x Fujinon XF 55-200mm f/3.5-4.8 R LM OIS Lens. Two linear motors facilitate high speed auto focus (0.28 seconds) as well as smooth and quiet operation, which is important for stability at long focal lengths, and when shooting video. This was enabled by making the focus lens lighter and installing a linear motor. The lens can be used for many subjects in various shooting scenes as it covers frequently used angles of view. Nine Month Fujifilm Australia Warranty. Fujinon XF 18-135mm f/3.5-5.6 R LM OIS WR Lens. 1x Fujinon XF 18-135mm f/3.5-5.6 R LM OIS WR Lens. - Fujifilm X Mount. - HT-EBC Multi-Layer Lens Coating. 1x Front Lens Cap. 1x Rear Lens Cap. 1x Lens Hood. Supported by the "FUJIFILM X-T1" and "FUJIFILM X-E2" as of August, 2014. Also, using the newly developed Nano-GI (Gradient Index) coating technology, which alters the refractive index between glass and air, ghosting and flare are effectively reduced for diagonal incident light. (MPN - 74184. XF 100-400mm f/4.5-5.6 R LM OIS WR Lens is designed for. Focal Length 100 - 400mm. Autofocus Yes. x L) 94.8 x 210.5 mm. Nine rounded diaphragm blades contribute to a pleasing out-of-focus quality to benefit the use of selective focus and shallow depth of field techniques. Twin Linear Autofocus Motor. Fujifilm X mount. Front Lens Cap. Rear Lens Cap. Optical Image Stabilization. Format Compatibility. Our warranty covers labour costs for repairing the faulty unit. Angle of View. Fujifilm  XF 100-400mm F4.5-5.6 R LM OIS WR Lens. Twin Linear Autofocus Motors. D-SLR Lens. Australian based warranties including both labour and part. It's equivalent to 1 year Manufacturer warranty. MPN - 73999. XF 55-200mm f/3.5-4.8 R LM OIS from. Lens mount Fujifilm XF. FUJIFILM is an 84-305mm-equivalent zoom well-suited for sports, event photography, and portraiture. Also, a linear AF motor provides quick and quiet focusing performance to benefit both stills and video use. 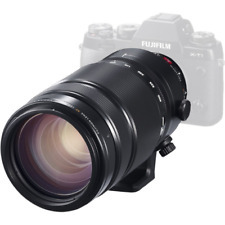 Fujifilm  Fujinon XF 55-200mm F3.5-4.8 R LM OIS Lens. Also, a linear AF motor provides quick and quiet focusing performance to benefit both stills and video use. D-SLR Lens. Rear Lens Cap. Lens Pouch. 100% New. Fujifilm XF 18-135mm f/3.5-5.6 R LM OIS WR Warranty. 1 x Fujifilm XF 18-135mm f/3.5-5.6 R LM OIS WR. Fujifilm X mount. Fujifilm XF 18-135mm f/3.5-5.6 R LM OIS WR. 18 - 135mm, Comparable 35mm Focal Length: 27 - 206 mm. Fujifilm's HT-EBC coating frees you from the perils of flare and ghosting, leaving sharp and contrasty images. 100% New. Fujifilm XF 50-140mm F2.8 R LM OIS WR Warranty. 1 x Fujifilm XF 50-140mm F2.8 R LM OIS WR. Fujifilm XF 50-140mm F2.8 R LM OIS WR. Fujifilm X. Picture may be different than actual product! Fujinon XF 50-140mm f/2.8 R LM OIS WR Lens. 1x Fujinon XF 50-140mm f/2.8 R LM OIS WR Lens. - Triple Linear Autofocus Motor. - Fujifilm X Mount. - Internal Focusing and Zoom Design. - Nano-Gl and HT-EBC Lens Coatings. 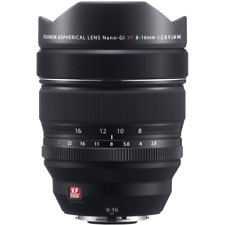 Fujifilm Ã FUJINON XF 18-135mm F3.5-5.6 R LM OIS WR Lens. An HT-EBC coating also improves contrast and color neutrality by reducing flare and ghosting when working in strong lighting conditions. Australian based warranties including both labour and part. The lens has been designed for handheld shooting with a 5.0-stop image stabilization system and weighs less than 1.4kg. Linear motor for fast autofocusing makes it perfect for shooting fast-moving subjects including aircraft and motorsports. An internal focusing system, and the use of a stepping AF motor, ensures quiet, smooth, and precise focusing capabilities that are ideal for both still and video applications. Wide-angle zoom lens provides a 35mm-equivalent focal length range of 15-36mm, making it highly suitable for landscape, interior, nature, and other applications where a dynamic sense of space is desired. Australian based warranties including both labour and part. It's equivalent to 1 year Manufacturer warranty 2. What you see is what you paid 5. An inner focusing and inner zoom design also help to prevent dust from entering the lens while also benefiting overall handling. Autofocus Yes. Baby & Kids Accessory. Focal Length 16 - 50mm. Any other cause, which does not relate to a product defect. Pet Accessory. Sports Accessory. Filter Thread Front: 58 mm. Cell phone & Accessories. 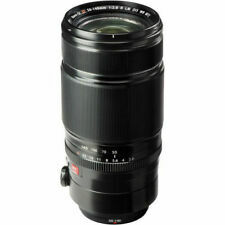 1 x Fujifilm XF 55-200mm f/3.5-4.8 R LM OIS Lens. Two linear motors facilitate high speed auto focus (0.28 seconds) as well as smooth and quiet operation, which is important for stability at long focal lengths, and when shooting video. 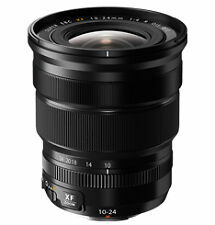 1 x Fujifilm XF 10-24mm f/4 R OIS Lens. An internal focusing system, and the use of a stepping AF motor, ensures quiet, smooth, and precise focusing capabilities that are ideal for both still and video applications. 1 x Fujifilm XF 100-400mm f/4.5-5.6 R LM OIS WR Lens. Focal Length 100 - 400mm. Autofocus Yes. Twin Linear Autofocus Motor. 1 x Lens Hood. Cell phone & Accessories. -Repair or attempted repair by anyone not authorized by us. 1 x Fujifilm XF 16-55mm f/2.8 R LM WR Lens. Autofocus Yes. Twin Linear Autofocus Motor. Focal Length 16 - 55mm. 1 x Front Lens Cap. 1 x Rear Lens Cap. Cell phone & Accessories. Its minimum focus distance is 11.8", and its 9-blade circular diaphragm renders pleasing out-of-focus highlights. Triple Linear Autofocus Motor. Focal Length 50 - 140mm. Nano-GI and HT-EBC Lens Coatings. all products are original 100% authentic and never been used unless otherwise stated. But it may delay due to Custom / Weather. Focal Length 16 - 55mm. We'll even replace with a new item if yours can't be repaired. Angle of View 83.2 - 29-Degree. Minimum: f/22. Aperture Maximum: f/2.8. Our team has coordinated over 25,000 pre-orders for the latest devices and we look forward to fulfilling yours. 1 x Rear Lens Cap for FUJIFILM X-Mount Lenses. Autofocus Yes. Linear Autofocus Motor. Focal Length 8 - 16mm. 1 x FLCP-8-16 Front Lens Cap. Cell phone & Accessories. Any other cause, which does not relate to a product defect. Color Matched to Fujinon HK/ZK/XK Series. FUJIFILM MKX50-135mm T2.9 Lens (Fuji X-Mount). Consistent T2.9 Aperture Over Zoom Range. Focal Length 50 to 135mm. Lens Mount Fujifilm X. Maximum T-Stop T2.9 to 22. 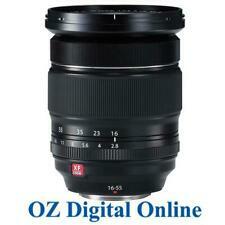 Fujifilm XF 18-55mm F2.8-4 R LM OIS Zoom Lens. KODAK LENS. Series Fujinon XF. CANON LENS. SAMSUNG LENS. NIKON LENS. CASIO LENS. Focal Length Type Zoom. MPN 16443072. Model 16443072. Autofocus speeds are rated as fast as 0.06 seconds. Series Fujinon XF. Mount Fujifilm X. Fourteen distinct seals are placed across the lens barrel to render it weather- and dust-resistant and capable of functioning in temperatures as low as 14°F. Autofocus Yes. Focal Length 18 - 135mm. Fujifilm X-Mount. 1 x Lens Hood. For working in fast-paced situations, an inner focusing system, coupled with a linear AF motor, produces smooth and quiet focusing with a max AF speed of just 0.1 seconds. Product model: XF10-24MMF4 R OIS. Lens type: zoom lens. It is possible for a small indoor space to shoot wide, spread out in front of the focal length wide-angle landscape may look more impressive. versatile, covering the 36 mm 35 mm equivalent from 15 mm ultra-wide focal length standard in the 2.4 x zoom lens. The Fujifilm 18-55mm f2.8-4 R LM OIS XF Fujinon lens adds to Fujifilm's popular X-mount interchangeable series. Silent operation also makes the lens suitable for movie recording. MPN Does Not Apply. The Fujifilm 8-16mm f2.8 XF R LM WR Fujinon Lens is an ultra-wide angle zoom with a maximum aperture of F2.8 that uses cutting-edge technology to achieve outstanding edge-to-edge image sharpness. - Uses linear motors for autofocus to achieve quiet and ultra-fast AF. FUJIFILM XF 50-140mm f/2.8 R LM OIS WR Lens 16443060. MPN 16443060. Series Fujinon XF. Fujifilm Fujinon XF 18-135mm F/3.5 - 5.6 R LM OIS WR Lens. Series Fujinon XF. KODAK LENS. CANON LENS. SAMSUNG LENS. NIKON LENS. CASIO LENS. Focal Length Type Zoom.